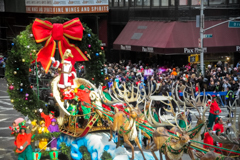 One reveler�s winter wonderland is another�s wasted vacation. There are as many ways to celebrate the holiday season as there are people to celebrate it. That makes our non-profit fundraising auction travel packages a perfect fit for those days off around the end of the year; we�ve got as many destinations in our catalog as there are tastes, as well. 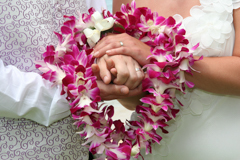 If you�re looking to send donors on trips that they�ll love (and for which they�ll love to place big bids), it might be good to think about the types of celebrants they are. 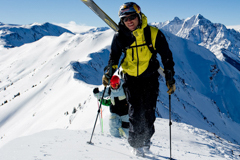 The Trip: From British Columbia to Park City and Lake Tahoe, we�ve got trips for every winter sports participant. If you�ve got a donor base that lives for the adrenaline rush of skiing or snowboarding, our �Perfect Winter Wonderland� package sends supporters to one of the top-ranked ski areas in the world, Whistler, which hosted the 2010 Olympics on its mountains. It is one of several packages that either include lift tickets or are set at destinations within walking distance of a downhill paradise. Gift List: Gourmet hot cocoa mix, chunky sweaters. The Trip: Is there a more seasonally-appropriate way of celebrating the holidays than cuddling up with a loved one next to a roaring fire? For travelers who are more in the apres-ski scene than skiing itself, heading out into the wild can be a wonderful break from the day-to-day. 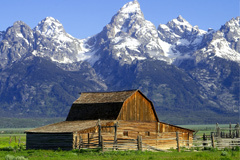 Our �Premier Retreat in the American West� trip involves four days and three nights in gorgeous Jackson Hole, Wyoming, in a 400-square foot cabin with all the amenities one could want. The resort also features a spa, outdoor heated pool, Jacuzzi and sauna, so there�s no shortage of areas in which to get warm and cozy. Gift List: The presence of family members spread out around the country. The Trip: Getting the entire family together at home for the holidays can be tough. But for the times that all the schedules align, why not gather the crew in a new, destination-worthy location � and one that takes care of the cleaning and prepping of the bedrooms for you? We added a plethora of options to our Villas and Residences catalog this year, meaning there are now trips to everywhere from Bali to Aspen that feature accommodations for up to 10 people. The best part: No one is consigned to sleeping on the couch for the holidays in a full home. Gift List: Sunscreen, a new beach tote. The Trip: Of course, the idea for a �white Christmas� is anathema to some, who would rather shun cold temperatures and chase the sun. 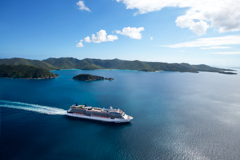 For them, a Caribbean cruise may be the perfect balm. 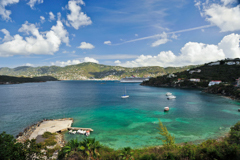 Our trips like �Sail the Southern Caribbean Seas� and �The Western Caribbean�s Rhythms At Sea� combine veranda stateroom luxury with the restorative power of the sun�s rays to keep even the most cold-adverse traveler happy. Throughout the year, the staff of travel experts at Mitch-Stuart is busy setting up organizations with opportunities to raise funds using auction travel packages for non-profits. But during down moments, those same people are scouring the world, looking for bigger deals, interesting destinations and once-in-a-lifetime opportunities. For the October update of the Destinations of Excellence catalog, we�ve put together a plethora of new travel packages. Some go to our favorite spots, with new options. Others expand our footprint to new areas. But each one can help your charity bring even more money through a gala auction or a fundraising auction. One of the biggest updates to our catalog for the winter comes in lodging capacity. We�ve expanded our villas and residencies offerings to offer more trips with larger living spaces. Send up to six people to Aspen, for instance, and stay in a three-bedroom residence at the North of Nell, right at the base of Aspen Mountain. 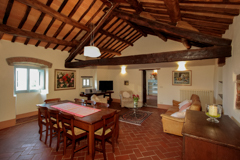 Send a supporter and three family members or friends to a Tuscan villa, a luxury residence in Los Cabos, or even a two-bedroom residence in London. There are now more opportunities than ever to give your donors a chance to bring the entire family on vacation, organize a guys-or-girls getaway, or partake in any other group travel outing. Of course, the winter catalog is always a great place to look to find trips that give donors a chance to sample the season�s charms. 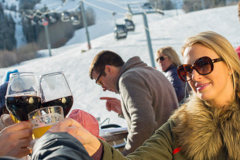 Whether it�s ski-in/ski-out mountain access in Park City and Deer Valley, Utah or snowmobiling and winter wildlife in Jackson Hole, even the most committed summer lovers will find reasons to head into the beauty of the winter snow. We�ve spoken at length before about why now is the best time to travel to Europe, and we�ve added three more opportunities to do just that. An arts tour of the French Rivera, a ride on the London Eye and a trip to the Van Gogh Museum are great reasons to head to Monaco, London and Amsterdam, respectively, and each package can bring in big bids to your fundraising auction. 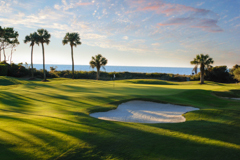 Some of your donors may want to escape the winter�s chill a little closer to home, as well, which is why we�ve added golf adventures in San Diego, California and Scottsdale, Arizona, along with trips to the charming Asheville, North Carolina and the always-temperate St. Helena, California, near Napa Valley. Want to check out all we have to offer? Reach out to a Mitch-Stuart, Inc. travel expert to talk about our new options, or register for online access to our catalog today! 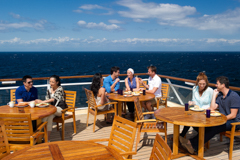 There are plenty of reasons that travelers enjoy cruises: The open waters, the beautiful views, the amazing amenities. There�s so much to do on a modern ship that it can be hard to remember that these cruises also visit spectacular ports of call, all around the world. Standing on observation decks stories above the ocean is a great way to travel, but sometimes people want to get down into the water itself. It�s icing on the cake if that water happens to be the Mediterranean Sea, and if the way to get to it is through a beach on Crete, or the red and black sand beaches of Santorini. Yes, the �Savor the Majestic Mediterranean� trip package involves plenty of amenities on its own, but adding some beach time on one of the jewels of Southern Europe can only result in happy donors. Not every excursion needs to be water-based, of course. Swimming in the North Atlantic Ocean while cruising between Boston and Nova Scotia might be a bit cold for most, so your donors can stay dry and consider one of the trip�s walking tours. 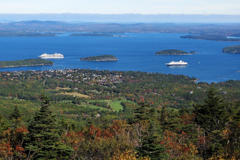 The best way to learn a new city is very often pounding the pavement, and trips through Bar Harbor, Maine and Saint John, New Brunswick will introduce travelers to the unique architecture and vibe of each destination. And if the walking gets to be too much, supporters can let horses do it, on a wagon city tour of Portland, Maine. 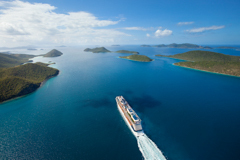 Of course, the most all-encompassing excursion might come with our cruise packages to the Bahamas, where Royal Caribbean has literally set up its own island. 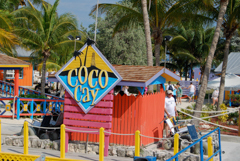 Meet Little Stirrup Cay � or as it is now known, CocoCay. With snorkeling, swimming, parasailing and waverunner rides available to passengers, this miniature (less than a mile wide and only about 200 yards long) isle combines the curated experiences of a planned vacation with the adventure of regular off-ship adventures. 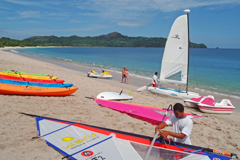 It even has activities for the kids, as well, including Caylana�s Aqua Park, a floating playground. Kids are back in school, work is picking up and the holidays are not far off. It can be tough to clear a few days in the months of September or October to hit the road, especially for people who are either just coming off of a summer vacation or are planning to travel for Thanksgiving or Christmas. But traveling in the fall has plenty of benefits, including less-crowded destinations, great weather, and the colors that only occurs with the change of seasons. 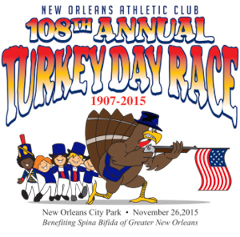 At Mitch-Stuart, Inc., we�ve got fundraising auction travel packages for every season. Caribbean beach vacations make great summer getaways (or snowbird escapes for the winter), and the Rocky Mountains are perfect for winter skiing excitement, but we never want to neglect the fall � especially for those non-profits with galas during that time. Want to offer a great of-the-moment travel opportunity? Read on. 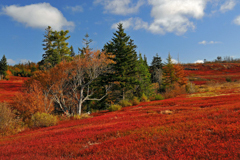 One of the first thoughts that many have when it comes to fall travel is New England. The tradition of �leaf peeping,� or visiting the northeastern states to see the leaves on the trees changing colors, has been around for decades and is an economic boon to the region; the picturesque vistas created by the season bring more than 2.5 million visitors to New England every fall, according to Boston Magazine. 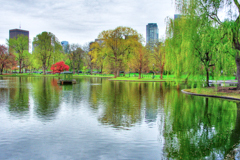 Our Boston-area trips, like �The Best of Boston Revealed,� make for excellent home bases to discover the fall foliage. If seeing the seasons change in just one location seems limiting, donors can take in the views from a Royal Caribbean cruise ship, as well. With stops in Boston, cities in Maine and the east coast of Canada, supporters can sit back and allow the captain to show the way to the most serene sights of fall. 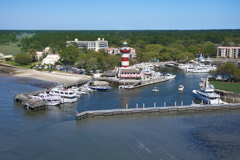 The �Voyage Through the Vast Waters of the Atlantic� trip package may be the way to cover the most ground from the epicenter of the season � and when the day is over and the leaves have been peeped, donors can retreat to a veranda stateroom, 24-hour room service and daily entertainment. 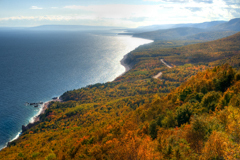 The eastern seaboard doesn�t have a monopoly on gorgeous fall weather and scenery, though. The Pacific Northwest can be a stunning region to visit in September and October, especially for donors who don�t mind a little (or a lot of) rain. 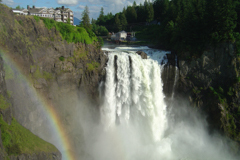 Whether it�s a trip to Washington�s Snoqualmie Falls with our �Raise a Toast to the Pacific Northwest� package or walking around Vancouver�s Stanley Park (which, at more than 1,000 acres, is larger than New York�s Central Park) while on our �Sensational Seattle and Vivacious Vancouver� journey, there�ll be plenty of gorgeous sights. The sheer number of trees changing color may be smaller than in the northeast, thanks to the prominence of evergreens, but mixing in aspens and birches make for a rainbow of natural hues. Most people love going on vacation, but that�s not to say there aren�t annoyances that pop up while on the road. Whether it�s long security lines at the airport, navigating a foreign city in a different language or trying to squeeze one more stop into an already-packed itinerary, travel has its share of inconveniences. One of the biggest of those challenges is waiting in long lines at popular tourist destinations around the globe, sweating or shivering on a sidewalk while trying to get into an exhibit, a restaurant or a monument. The good news: No matter how popular a destination, Mitch-Stuart can help. Our fundraising auction travel packages take donors around the world, of course, but they can also help supporters skip the lines for unique, private experiences in some of our favorite cities. While the types of resorts with which Mitch-Stuart deal with aren�t the sort to have thin walls or other inconveniences associated with over-crowding, travelers still find it nice to be staying on their own on occasion. In two of our favorite international destinations, that privacy is also given a luxurious upgrade. 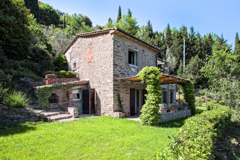 The �Under the Tuscan Sun� package comes with a seven-night stay in a stunning, five-bedroom private villa in a restored 16th century Italian manor, along with a private driver and even one evening with a private chef. 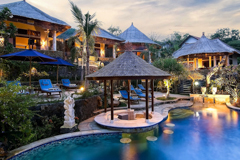 In Southeast Asia, meanwhile, the �Bali�s Breathtaking Beauty� package includes seven nights at the Bali Double V Villa, with three bedrooms and a private pool. Getting away from crowds isn�t just for retiring for the evening, either. Anyone who has ever stood in a long line at a tourist attraction knows that long wait times can cut into not just the enjoyment of the sight being seen, but also curb the number of sights that can be seen. In a city like Paris, it can be tough to escape the mobs of visitors � unless traveling on one of our trips to the City of Lights. We can send your supporters on private, evening tours of the Louvre, led by guides who can transform a simple walk around an exhibit into an engrossing history lesson, all while checking out the works of da Vinci, sculptures from Greece and Rome and even early Egyptian art. For those more interested in getting outside, a private nighttime tour of the city�s famous sights may be in order. 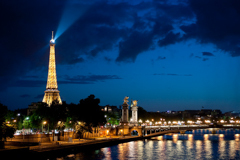 It includes a cruise along the River Seine and a gourmet dinner, as well. Along with long lines, the winery tours in California�s wine country can also involve some unfortunate encounters with those whom have overindulged. Cut them out of the picture with one of our private winery tours, available on several of our vino-based trips. Donors can ride in chauffeured luxury sedans between stops, and the entire itinerary can be based around their personal preferences. 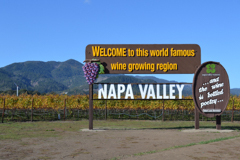 One of our favorite packages, �Indulge in the Ultimate Wine Country Excursion,� even includes a private lunch with some of the region�s vinters themselves, meaning that supporters can combine drinking and learning. 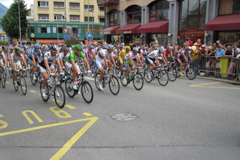 Want to help your donors avoid the crowds? Reach out to a Mitch-Stuart travel expert today! For all that people do to try and slow down � yoga, meditation, even gardening � there�s little that can beat standing hip-deep in a river, trying to hook a salmon or other dinner-appropriate fish. Mitch-Stuart, Inc., offers plenty of non-profit fundraising auction travel packages to help donors relax, but not all down time needs to come with a massage or facial. Sometimes, supporters want to kick back on a boat or wade into a river and let the reel fly. For those potential fishers, we can offer destination choices from Alaska to the Caribbean. Fishing along the Alaskan coast does not have to involve a days-long hike through the wilderness to arrive at a watering hole. Instead, let a Royal Caribbean cruise ship drop your donors off nearby. Fishing is a seasonal add-on �excursion� for the �Alaska�s Majestic Frontier� trip, which takes travelers from Seattle up the Pacific coast, past the Tracy Arm and Fjord and the Hubbard Glacier and back to the lower 48 states. Of course, fellow guests can also choose from walking tours, salmon bakes and even tramway rides, as well. For those who�d rather leave the sea living to the fish, Mitch-Stuart can also plan an entire vacation around a fishing expedition. 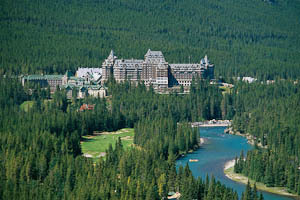 �Freshwater Fishing in Gorgeous Canada� takes both experienced and novice anglers to one of the Fairmont resorts in either Alberta or British Columbia, Canada, for a freshwater fly fishing experience. Everything is included � the guide�s help, the boat, the gear, bait and even lunch. And if it gets a bit chilly out on the water, heading back to the five-star resort and soaking in a hot tub is a pretty good way to end the day. 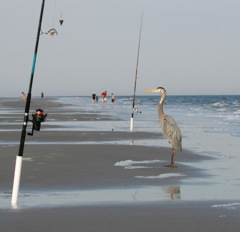 Of course, fishing expeditions don�t have to be out in the cold wilderness, either. They can be, for example, beachside in the Caribbean, with our �All-Inclusive Fun Under the Sun � Island Style� package. Supporters can head to St. Thomas in the U.S. Virgin Islands for a four-hour salt-water fishing trip, aboard a 40-foot ship, trying to reel in mahi mahi, offshore tuna and more. For the aficionados, a full-day experience is available for an additional cost, as well. The best news: If the donor comes back empty-handed, the Lobster Grill at the Bolongo Bay Beach Resort can probably cook up a great bit of fish, too. One donor loves the bright lights of New York City. Another loves the relative peace of Jackson Hole. One wants to take his son to Wrigley Field in Chicago. Another wants to see basketball played in the mecca of the sport, Madison Square Garden. Get them all bidding on the same trip. At Mitch-Stuart, Inc., we pride ourselves in being able to help charities and other organizations select the perfect non-profit auction travel packages to offer at gala events, the type of trip that really brings the �wow� factor. But sometimes, donors love the freedom to be able to pick their own destinations, to choose from several options. For organizations willing to let their supporters take control of their own vacations, here are three of the ways that we can help. Sports fans are a fickle bunch. While they love their specific team, many of them won�t go too far out of their way to watch games featuring other squads. That can make picking a specific destination to attract donors who love a professional squad difficult: Your gala may feature fans of several, even dozens, different franchises in different cities. 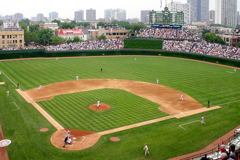 The good news: Our �Go to Any Game in 50 Markets� trip avoids having to make that decision. We can secure tickets to any game in any of the four major professional sports, so your Yankees, Red Sox and Dodgers fans can all bid on the same travel package � and more competition means more money! 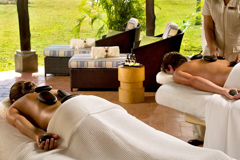 Those who wish to be pampered know that there�s no geographic bounds to luxury. 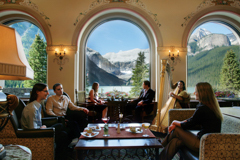 That�s why donors looking for a high level of sophisticated service know to seek out resorts in the Fairmont Hotel family � Fairmont, Raffles and Hotels and Resorts and Swissotel. 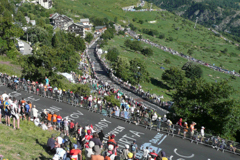 And that�s why your supporters can be guaranteed that pampered feeling with our �Legendary Luxury Around the World� package, which will send them to one of the aforementioned properties anywhere in the world. With destinations ranging from Seattle to Abu Dhabi, it�s hard to imagine a potential bidder who won�t find a dream vacation location for this trip. Of course, there�s even a way to offer an auction item that opens up Mitch-Stuart, Inc.�s entire catalog of more than 300 unique travel experiences: Let the donors choose with a gift certificate! Available in denominations of $500, gift certificates allow our organization the opportunity to make any once-in-a-lifetime travel dream come true for your donor, and it takes any of the guesswork out of picking the right auction option for your supporters. Want more information on how to maximize bidding by letting donors choose their own destinations? Reach out to a Mitch-Stuart travel expert today! Each time the seasons change, we get ready for something new: New climate, new holidays, new activities, new dawns and dusks. At Mitch-Stuart, the new season also brings one of our favorite changes: New additions to our catalog of fundraising auction travel packages. We take a look at the best experiences from around the world, the once-in-a-lifetime opportunities that give your gala auctions that �wow� factor, and then find a way to offer them on a consignment basis to charities and other organizations the world over. 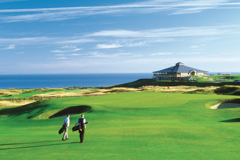 What�s new for the summer of 2015? First, we�ve added even more options for those looking for unique, city-specific experiences in some of our favorite destinations in the United States. Experience a hop-on, hop-off trolley tour through American history in Boston (�Explore the Oldest City in America�), ride in a horse-drawn carriage through Central Park (�An Exceptional Excursion Through Central Park�) or visit the Alamo in San Antonio (�Remember the Alamo�). 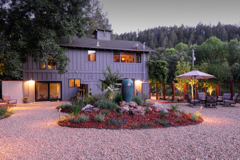 We�ve even got a new take on the wine vacation, moving south from Napa Valley to stunning Santa Barbara, with tours of four wineries in four days and three nights, all while setting up home base at an oceanside hotel. 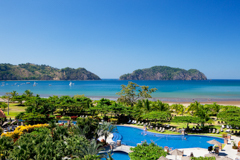 One destination that has been growing in popularity has been Costa Rica, with its bio-diverse jungles and gorgeous beaches. 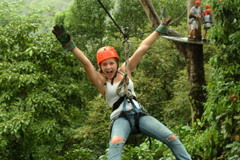 Two new trips can take donors on either a zip line adventure and horseback ride in Guanacaste (�Embrace Costa Rica�s Pura Vida�) or stay in three different cities over the course of eight days, seeing the full spectrum of environments for which the nation is known (�Discover Costa Rica�s Paradise�). 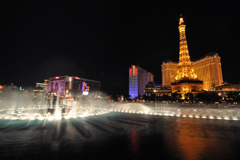 The neon signs and over-the-top lifestyle have long been the stars of Las Vegas, but your donors can now meet some new ones, with a trip to Sin City to meet the stars of the reality television show �Pawn Stars.� Get a tour of their Vegas, along with a two-night stay at Paris Las Vegas (�Sin City�s Full of Paris, Poker and Pawn Stars�). 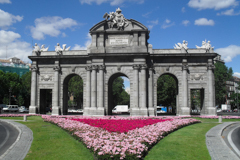 For those looking at that Euro-to-Dollar conversion rate and salivating, we�ve added three European destinations, each remarkable for their history, their culture and their luxury accommodations. 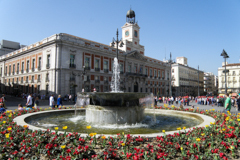 Whether it�s six nights at the The Fairmont Rey Juan Carlos I in Barcelona (�Ensconce Yourself in Spanish Exclusivity�), a stay at the historic Hotel Orfila in Madrid (�Fall in Love with the Beguiling Charms of Spain�) or a four-star experience right in the heart of Rome (�Discovering the Inspiring Italian Coast�), Mitch-Stuart can send your donors to the most fascinating cities while putting them up in the nicest resorts. 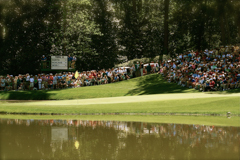 And finally, not even the dog days of summer can stop the golf lovers among your donors. 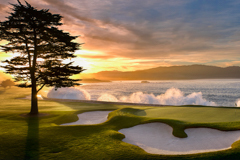 We�ve added rounds of play at courses like Pebble Beach Golf Links, Spyglass Hill Golf Couse, Pasatiempo Golf Club and The Links at Spanish Bay to our already-impressive 18-hole inventory. 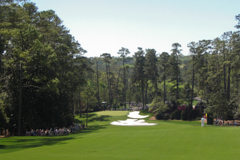 We�ve even added a trip that is sure to get the attention of the sport�s biggest fans: Four days and three nights at The Pinehurst Resort in North Carolina, with three rounds of golf � including one on Course No. 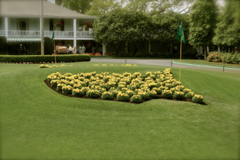 2, the host of the 2014 U.S. Open (�America�s First True Golf Resort�). There�s a point, usually sometime in February, when most of the United States is willing to spend any amount of money to get out of a cold, dark winter and spend a week warming up on the beach. There�s also a point, usually around August, when much of the country would give anything to sit in the snow at the top of a mountain. When planning a fundraising gala, the calendar already plays a big role. But when thinking about which of Mitch-Stuart, Inc.�s non-profit fundraising auction travel packages to offer, it�s also important to consider for when your supporters are planning. If it�s August, can they squeeze in a beach vacation before school? Or have they already set their sights on winter break? Picking a trip with luxurious accommodations and once-in-a-lifetime experiences is easy. Make sure you think about the season of your gala in order to pick a trip with maximum interest in that moment for the highest bids. Fall: The leaves are turning, the heat is breaking and school is back in session. Your donors attending a fall gala are more likely to have just returned from a major vacation than at any other time of the year, and turning around and planning another seven-day excursion might seem like a lot. This might be a good time to schedule a winter or spring weekend getaway. Give your supporters a chance to do that with a three-day, two-night high roller experience in Las Vegas, featuring anything from show tickets to rounds of golf. It�s just the energy infusion one would want, and even springtime in Sin City avoids the triple-digit temperatures, to boot. Winter: Last year, Boston got 110 inches of snow. The last of that record-breaking snowfall finally melted on July 14. Needless to say, much of the country will be looking forward to sun and sand by the time the depths of winter hit. But also remember that those same donors may be starting to lock in summer plans at this point. It could be the perfect time, for instance, to auction off one of our eight-day, seven-night sojourns to Bali. Our summer is their winter, technically, but with its location being so close to the equator, the island never really gets cold by our standards. Spring: In some ways, choosing trips to auction off in the spring can be the most difficult of the season-based decisions. Fall is a busy time of year for many donors, after all, with school resuming and the work schedule ramping up for many professionals. But if there�s one national obsession that Americans always make time for, it tends to be football. 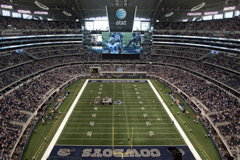 With Mitch-Stuart�s �Go to Any Game in 50 Markets!� package allows donors to pick the NFL (or, if they prefer, baseball, basketball or hockey) game of their choice for a three-day, two-night sporting experience. 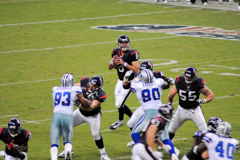 And if your donor base is still basking in the glow of post-Super Bowl glory (we see you, Bostonians), the spring might be the time to allow one to book a chance to see the local side repeat, with the �Winner Takes All at the 2016 Super Bowl!� package. Summer: Remember when you were a kid, and you complained to your parents that it was too hot? Did they tell you to think of something cold to cool off? 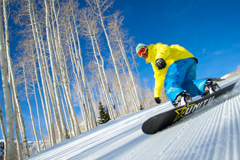 Booking a winter vacation to Aspen for skiing would certainly qualify as both �cold� and �cool�! 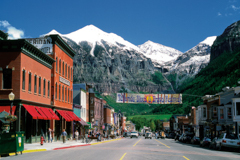 The �Aspen Winter Wonderland� package sets donors up with a home base in the mountain resort town for five days and four nights of skiing, spa pampering and dining. Serve an ice cream dessert at your gala, and your supporters will forget about the shirt-dampening humidity outside. Our Travel Experts have answers for all seasons. 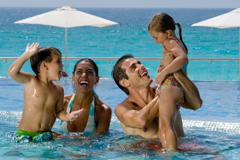 If you�d like to offer one of these travel packages � or any of the excellent options in our catalog � reach out today! This weekend, Americans of all backgrounds will get together, listen to patriotic music, barbecue any foodstuff within sight, and watch fireworks explode in the night sky, all to celebrate Independence Day. 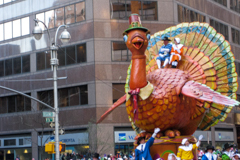 It�s a day, an event, for which people from around the world come to the United States to see. But the United States is obviously not the only country that celebrates its independence, and the holiday activities in many other countries are not just fun, but perfect opportunities for visitors to get to know these destinations. If you�ve got donors who want to go on a Mitch-Stuart non-profit auction travel package trip, one of these celebrations could be the perfect excuse. Started in the late 18th century to celebrate the start of the French Revolution, Bastille Day brings the people of France together each year for parades and fireworks. The largest military parade in all of Europe occurs on July 14 each year, along the Champs-Elysees in Paris, and fireworks often frame the Eiffel Tower. 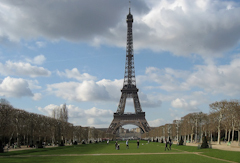 Any of our ten trips to France can take donors to a Bastille Day celebration, but the �Enjoy Paris� Joie de Vivre� package is the one that can put supporters closest to the Tower or the Arc de Triomphe, with hotel options like the MonHotel and Le Marquis Eiffel. In Italy, Republic Day is the yearly celebration of the vote in which the Italian people chose to transition to a republic rather than a monarchy after World War II. A major parade, watched over by the country�s president, goes by the Roman Forum and military bands play at the president�s residence. In addition, the Italian version of the �Blue Angels� fly in crazy patterns over Rome, leaving trails of red, green and blue (the colors of the Italian flag) smoke. 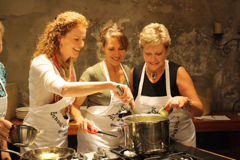 Send a donor to Italy with our �Fall in Love with Italy� or �Roman History, Cuisine and Enotecas� packages, among others, and they can schedule their trip around the holiday. If the quasi-militaristic nature of the European celebrations is off-putting to your donors, it might be time to consider a trip to the Caribbean (in fairness, though, isn�t it always time to consider a trip to the Caribbean?). One of our favorites is Independence Day in Barbados, not just for the beautiful blue-and-yellow lights that illuminate everything from government buildings to roundabouts, but also because it is celebrated yearly on November 30th, the perfect destination for those looking to avoid those late fall cold snaps. With our �Timeless Caribbean Elegance� package, donors can stay in the luxurious The Fairmont Royal Pavilion, check out the parade and the lights, and still find time to get to the beach. With over twenty years in the non-profit auction travel business, and more than $1 billion raised for charities around the world, we�ve accumulated a good amount of knowledge about what donors and supporters like. Donors heading to Hawaii want to go to the beach. Donors heading to Colorado want to either go hiking (the summer) or skiing (the rest of the year). But some of our destinations are so multi-faceted that they appeal to a wide range of bidders and so popular that demand has dictated giving them multiple itineraries. 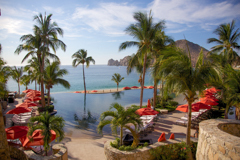 That�s why our catalog � with more than 300 travel packages available � offers multiple options for many of our favorite destinations. These popular locations attract all sorts of different bidders, making them great additions to any auction. 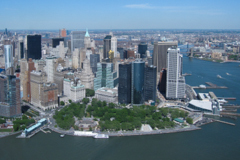 There�s an experience for everyone in New York City, which is why Mitch-Stuart offers 17 different trips to the Big Apple. 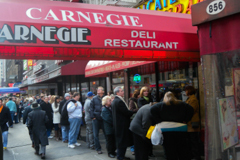 Sports fans will enjoy the chance to take in the U.S. Open, one of tennis great tournaments, while foodies will love the �Nosh Your Way Through Three New York Delis� that includes gift cards to Katz�s, 2nd Ave. and Carnegie Delis. There�s �Shop �Til You Drop� and �Worldwide Passion for Fashion� for the fashionista bidder, and even a package with tours of the city�s historical landmarks, �New York�s History in the Making.� A fan of New York could attend your auctions for years and never see it all! As a region, Southern California may be as diverse a block of land as can be found in America, from the San Diego Zoo to the glitz and glamor of Hollywood. Fittingly, Mitch-Stuart offers a diverse list of travel experiences in the Southland. 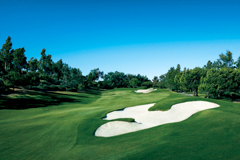 Whether it�s golf in Carlsbad or Indian Wells, luxury on the beach in Laguna Niguel, or attending an award show like the People�s Choice Awards or ESPYs in Los Angeles, there are plenty of ways to play in the California sun. American destinations are not the only ones with a wide range of available adventures, either. 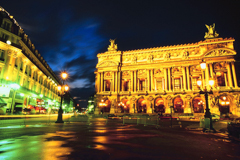 Mitch-Stuart has nine separate trips to Paris, to celebrate the city�s art, food and joie de vivre. 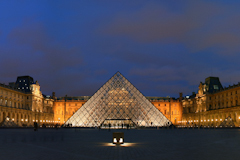 Send your donors to some of Paris� greatest museums with the �Paris as an Art History Destination � Magnifique!� package, or make a couple�s anniversary dream come true with �The City of Lights is Yours to Love� itinerary, which includes an evening �private illuminations tour.� Mitch-Stuart even offers two tour that split time between Paris and Rome, for the indecisive donor, based around either landmarks or food. Need help picking a package for one of our most popular destinations? Talk your decision through with a Mitch-Stuart travel expert today! Even in an age where most important works of art can be seen with a quick Internet search, there�s something special about seeing paintings and sculptures in person. Standing in the same room as a canvas that once stood in front of Picasso, or standing under a ceiling on which Michelangelo created one of the world�s enduring wonders, is an almost-spiritual experience for fans of either art or history. Even Americans with an aversion to the French language know how to pronounce �Louvre� � or, more importantly, know what the museum means to the art world. 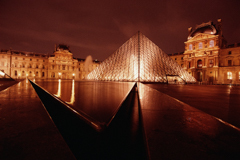 Our �Paris as an Art History Destination � Magnifique!� package gets donors inside the 650,000-plus square foot museum to see everything from the Mona Lisa to tremendous collections of Greek, Roman and Islamic art. But to see just the Louvre on a trip to Paris is akin to seeing just the White House in Washington, D.C.: There�s so much more to explore! 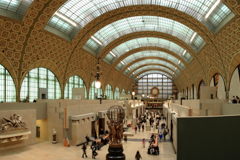 That�s why the Mitch-Stuart, Inc., charity auction travel package also includes tours of the Musee d�Orsay and the Centre George Pompidou; the former is a repository of impressionist art from masters like Monet and Renoir, while the latter has one of the largest modern art collections in Europe. 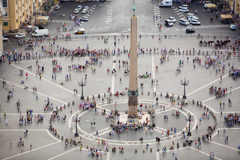 For fans of the Renaissance, it shouldn�t be a surprise that Italy is where to go. 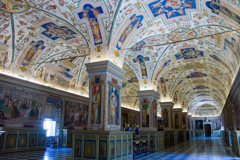 But where in Italy (or, the place surrounded by Italy, to be precise) may be unexpected: The museums of the Vatican are, combined, one of the most often-visited collections of art in the world. 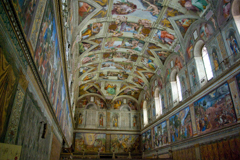 Works by Leonardo da Vinci and Raphael are highlights, but what rightfully comes to mind for many is the Sistine Chapel, the ceiling of which was one of the greatest works of Michelangelo. With so much to see in one place, taking a tour (like the one that comes with our �Discover Rome�s Eternal Charm� package) is a must. Your donors don�t have to cross an ocean to visit a great museum, of course. There are plenty of fantastic choices in American cities, from the Museum of Modern Art in New York to the brand-new The Broad in downtown Los Angeles, coming in September of 2015. 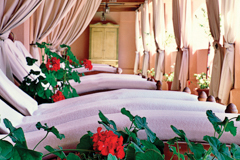 But not even the biggest cities have a monopoly on great collections: Our �Santa Fe is the Perfect Getaway� trip includes admission to the Georgia O�Keeffe Museum (the world-famous painter passed away in the New Mexico city in 1986) for two. Exhibits draw from the 1,200-plus collection of pieces to showcase different aspects of O�Keeffe�s life and work, along with the work of fellow American modernists. 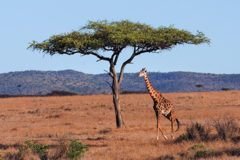 The trips that make up Mitch-Stuart, Inc.�s catalog of non-profit fundraising auction travel packages can take donors to some of the most glamorous, the most remote and the most beautiful destinations on the planet. Supporters can never run out of amazing vistas, exciting activities and first-class luxury options everywhere from Bali to Paris. For some, though, one destination simply isn�t enough. Rather than sending one of these bidders to a remote location, why not pick one where, within a half-day or less drive, (s)he can be in a new place, with different activities and a wholly unique vibe? If your donors want to hit the road even after hitting the road, consider sending them to one of these great destinations. Amazingly, a city known best for its neon lights and man-made volcanos and lakes is the perfect home base for an outdoors adventure in the Great American West. Las Vegas might be filled to the brim with entertainment and diversions, but it also is only a short drive from some of the most beautiful natural vistas available. 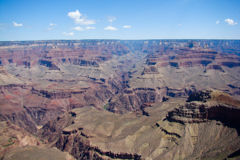 Of course, the Hoover Dam is a short drive (or helicopter ride) to the south of the city, but also within a reasonable distance lies both the Grand Canyon and Zion National Park. 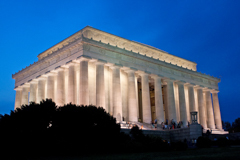 History buffs love heading to Washington, D.C., with its museums and monuments. But the city also makes a great departure point for several different adventures. 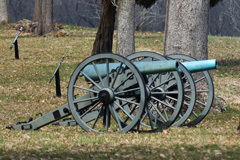 Travelers looking for even more history can make the short drive to the Revolutionary War battle sites in Virginia and Pennsylvania, hitting cities like Williamsburg, Va. And while D.C. doesn�t have any beaches of its own, coastal towns like Rehoboth Beach, Del. 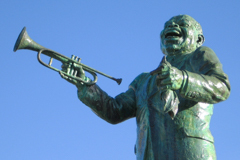 and Virginia Beach, Va. are popular summer getaways for both residents of the nation�s capital and for tourists who want to get some sun in between Smithsonian visits. 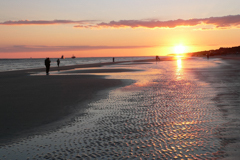 Travelers who want to drive to multiple tourist destinations on one trip, however, may love Florida most of all. 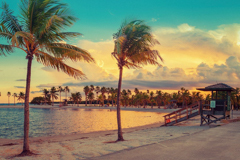 Anyone who�s ever visited the Sunshine State can testify that Orlando, Miami and Key West each have different vibes, from the family-friendly fun of Disney World to the nightlife of South Beach. What fewer people consider, though, is that all of those different vacation profiles happen within short distances: According to Google Maps, it is only 238 miles from Epcot Center to Crobar, one of the hottest nightclubs in Miami. 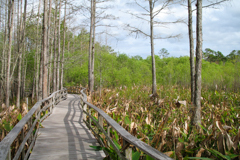 And Miami is within shouting distance of natural beauty as well, as tours of the Florida Everglades are just down the road. There are some brand names that are so synonymous with an activity or product that the proper, trademarked noun replaces the common descriptor. We Xerox pages, rather than photocopy them. We use a Kleenex, rather than a tissue. We don�t search for something online � we Google it. The word �Disney� is not quite to that level of usage saturation, but Mickey Mouse and company are nearly synonymous with quality family entertainment. 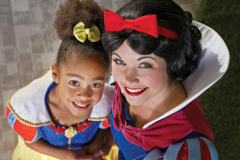 A trip to either Disney World in Orlando or Disneyland in Southern California can be more than a vacation for a youngster � it becomes a goal, something to look forward to for months in advance (and something, accordingly, that parents can use as a great motivator to get young ones to do chores and behave). At Mitch-Stuart, Inc., we offer non-profit auction travel packages to destinations around the world, with trips to far-flung corners of the world and once-in-a-lifetime events. But ask any pre-teen, and the stars of our catalog are the journeys to hang out with Goofy, Mickey, Minnie and company in sunny Florida or California. Why Disney for your donors? Kids obviously love the attractions of the Disney parks, but parents should love them as well, as so much of the experience is designed for and based around the needs of families. There�s never a desperate rush to find a changing table in a Disney park, and no concerns about children being exposed to inappropriate material. Taking the family to a destination aimed at families means less time adapting a setting to a family-friendly zone and more time enjoying a vacation. 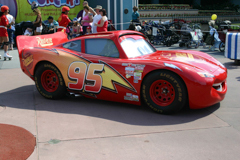 The Disney parks aren�t just teacup rides and princesses. There�s plenty for adults to do, as well. 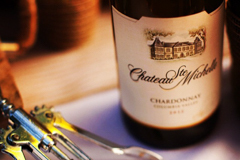 A restaurant like Victoria and Albert�s, with its chef�s table and massive wine list, is definitely a grownup affair, while the surrounding Orlando area has become a hot-spot for wine, as we mentioned on our Twitter feed. And Disneyland has a House of Blues concert venue and a ESPN Zone sports bar in its Downtown Disney area, both of which cater to adults (even if the latter features sports arcade games, as well). 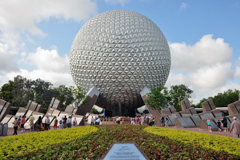 Going to Disney World or Disneyland doesn�t just involve going to either of those parks. 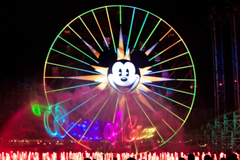 If your donor takes advantage of our �Happiest Place on Earth and More!� trip, (s)he will also spend a day at nearby Knott�s Berry Farm, while our three trips to Orlando and Disney World include options like excursions to SeaWorld or Universal Studios. 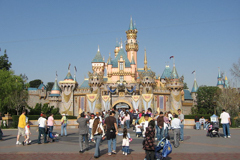 Want to send donors to Disneyland? Reach out to one of Mitch-Stuart, Inc.�s travel experts for more information! Anyone who�s ever traveled with a close friend or family member and spent the trip arguing about when to wake up, when to hit the city and when to relax knows that there are as many types of travelers as there are destinations. For some, sleeping is for plane rides only: There are sights to see, activities in which to partake, and nightlife to enjoy. For others, though, the chance to go elsewhere is also the chance to relax, to kick off shoes and grab a drink by a pool, or enjoy a five-star meal and only have to waddle back to a hotel room. For the latter, Mitch-Stuart, Inc., can help. While we love sending your non-profit fundraising auction winners to major events like the Kentucky Derby or the Tony�s, and we love sending donors to far-flung destinations like Bali for once-in-a-lifetime adventures, we also get that sometimes, vacation is just a chance to sit in one place for an extended period of time, maybe get a nice spa treatment, eat (and drink) well and sit by a pool. Want a view of three different countries, all from one rooftop? 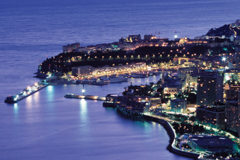 The Fairmont Monte Carlo (home base for our �A Royal Retreat� and �Bask in the Glory of the French Riviera� trips) affords sights of France, Italy and Monaco, all without leaving the hotel. 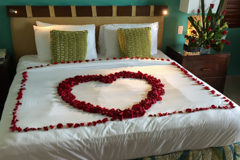 And once �sightseeing� is done for the day, it also has its own Nobu restaurant on premises, and the Willow Stream Spa offers treatments for pairs (with two couples experience suites) and singles alike. Some hotels double as historical sites, meaning that staying there is like seeing a city�s past. 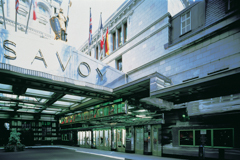 The Savoy Hotel of London (�Stay at the Most Iconic London Hotel�) has more than 125 years of history, including being the home of performances by everyone from Frank Sinatra to Bette Midler. It�s also one of the original centers of cocktail culture; �The Savoy Cocktail Book� has been republished and updated multiple times since its 1930 debut. 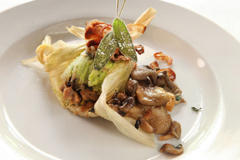 Today, the Savoy also is home to Savoy Grill, Gordon Ramsay�s ode to glamorous and opulent fine dining. 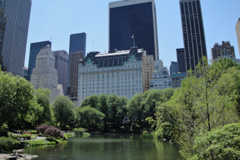 On this side of the pond, the Plaza in New York (�Exquisite New York Dazzles Like Never Before� and �Perfect Moments at the Plaza�) covers food and drinks as well, with its stunning Champagne Bar overlooking the historic Grand Army Plaza and Pulitzer Fountain. 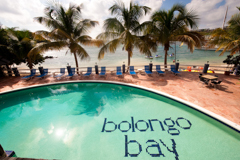 Of course, for travelers who like heading outdoors as long as they don�t have to travel too far to get there, Bolongo Bay Beach Resort (�All Inclusive Fun Under the Sun � Island Style!� and �Escape to the U.S. Virgin Islands� Sun, Sand and Sea�) has its own cove on St. Thomas, with access to some of the most beautiful sand available to the Caribbean traveler � right there on property. 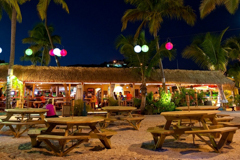 And for when your donors get thirsty, Bolongo Bay also has Iggies, which has been voted �Caribbean�s Best Beach Bar� by a local publication multiple times. 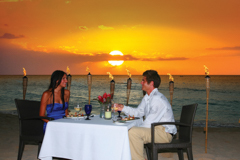 Dinner, drinks, sun and sand � who needs to explore? Spring Into a New Trip! At Mitch-Stuart, Inc., we�re proud of the catalog of non-profit auction travel packages that we�ve put together over the years. 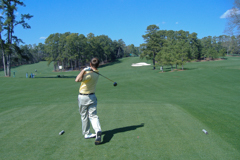 Whether it�s a deli tour of New York, a trip to the Masters or even a stay at a castle, we�ve got something for every donor�s desire. Still, every few months we get the chance to try and one-up ourselves, to create great new options for charity organizations to add to fundraising auctions and give supporters those once-in-a-lifetime opportunities. What�s new for the spring at Mitch-Stuart? 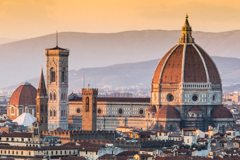 Three new trips take advantage of the dollar�s current strength against the Euro by taking donors across the pond: Look for great food and flamenco dancing in Barcelona, wine and treats in Tuscany, and luxury in London. Lots of �normal� trips involve tour boats. 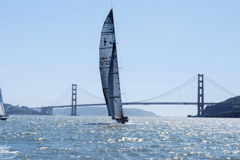 Very few, like our travel package to San Francisco, involve a hands-on sailing experience aboard an America�s Cup yacht. For those who have fantasized about taking to the open seas � or just want a good excuse to wear a captain�s hat � this is the chance. If you think your donor base could use chances to de-stress, we�ve got both domestic and international opportunities to do so. 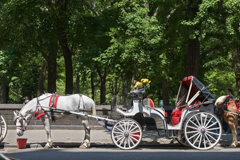 Send supporters on a wine tour through Napa Valley by horse and carriage (much less stressful than driving!) and keep them in the States, or fly them overseas to Bali, an in-demand destination, and let them find bliss on the sand of Sanur Beach or in a truly indulgent villa (set up for ten guests!) 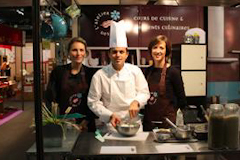 with a private chef and barman. New ways to see two of our favorite U.S. destinations: Send friends of your organization to Miami Beach and put them up at the Art Deco boutique Courtyard Cadillac Miami Beach/Oceanfront Hotel, or put them in the middle of it all at the Grand Hyatt in Times Square, with passes to see everything via the popular Gray Line bus tour. And two more opportunities to run screaming from this winter�s chill, with adventure in Nassau and an all-inclusive stay in Jamaica. Whether it�s drinks in Montego Bay or a spa day at Baha Mar, shoveling snow will be the furthest worry from your donor�s mind while warming up in the Caribbean. These trips, along with scores more, can be found in the spring version of the Mitch-Stuart, Inc. catalog. Reach out to one of our Travel Experts for more information and to find out how to add that �wow factor� to your fundraising auction! 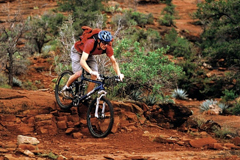 We�re big fans of the outdoors at Mitch-Stuart, Inc., and you can see that in our non-profit auction fundraising travel packages. We send donors to Jackson Hole, to Aspen and even to Quebec for winter adventures. But when the sun comes out, some people default to lounge chairs, tall drinks and beachside reading. 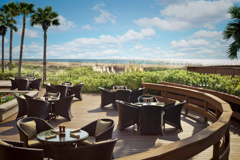 Don�t get us wrong, we love heading to the shore for a day of relaxation, and we certainly love our beachside resorts and bars. There are some activities, though, in which it makes a lot more sense to engage during the warmer months. If your donors are looking for a warm-weather retreat, maybe it�s time to look into one of these activity-based consignment travel packages. There�s a reason that NASCAR takes the winter off: Driving at triple-digit speeds through snow is not an appealing thought. But it�s not just the professionals that get back in the driver�s seat after a few months off for holidays and cold temperatures. Winners of our �It�s Just You and the Speedway� package can get in a real life racecar and take it for a spin with the Mario Andretti Racing Experience. In a three-hour experience, the driver gets a meeting with a crew chief, two-way radio communication with a spotter for tips while out on the track, and personal racing instruction from the experienced Andretti crew. Available in four different states (Arizona, Illinois, New Hampshire or North Carolina), the Experience is also convenient for the donor who may not know where (s)he wants to go, or would rather stay closer to home. For those who really want to get away, though, there�s the Great White North. While there may be a form of �romance� to roughing it while ice fishing in the wilds of Canada, the slightly-warmer climes of the spring make wading out into a river a lot more comfortable. 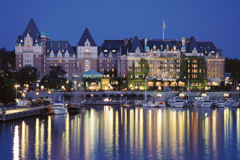 Making the process even nicer: Unwinding at a Fairmont resort afterward. 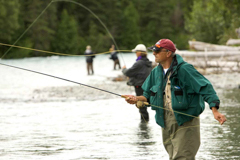 With our �Freshwater Fishing in Gorgeous Canada� package, your donors could find themselves at one of four different Canadian resorts, spending time with a guide during a private freshwater fly fishing experience (and yes, the bait and gear are included) and trying to catch that night�s dinner. Don�t worry about a donor going hungry, though: Each of the Fairmonts have fantastic dining options, too, if your charity�s supporter wasn�t able to reel in the night�s entr�e. With the skies clearing a little, now might also be the time to get in the cockpit. Yes, Mitch-Stuart, Inc. can send your donors into the sky with a �Top Gun� package, available to any one of twenty-five different cities. Your donors will fly on a �fighter pilot mission experience,� practicing formation flying and basic maneuvers before engaging in a few dogfights. Multiple cameras in the cockpit will capture the experience for posterity and give friends a chance to be jealous (or maybe a good laugh!) back on land. There are lots of little touches that make a vacation a relaxing experience. Someone else makes the bed in the hotel. At most places, it�s impossible to cook, which means there�s no dishes to do. But one of the best for many is the ability to forget about bills and finances for a few days. Whether it�s that extra drink at happy hour or the bottle of wonderful wine, it�s easier to indulge miles away from home. At Mitch-Stuart, Inc., we love sending your donors on all sorts of adventures with our non-profit auction travel packages. Some of our favorite ones are those loaded with the sort of indulgences, those luxurious extras on trips to destinations both common and once-in-a-lifetime, which make long-lasting memories and add the elusive �wow� factor to an auction lot list. Whether it�s four-figure gift certificates to glamorous jewelers or the poshest accommodations, some of Mitch-Stuart, Inc.�s biggest selling itineraries are all about living the high life. The Plaza in New York City has defined luxury in the Big Apple for more than a century. 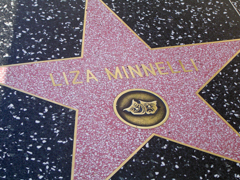 A favorite of Hollywood filmmakers looking to capture Manhattan extravagance in a single shot (films from �Barefoot in the Park� to �American Hustle� have featured the hotel), The Plaza is a favorite for everything from afternoon tea to late-night drinks in the Champagne Bar. It also features 24-hour butler service and some of the city�s best concierges. 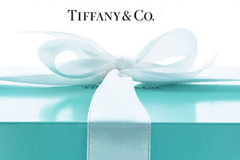 Our �Exquisite New York Dazzles Like Never Before� package, however, doesn�t stop at Central Park South, though; we also include a $1,000 gift certificate to Tiffany and Co., the centuries-old jeweler and tastemaker. Donors who win this package can both relax and shop in style, picking up memories for a lifetime and maybe even an heirloom set to last even longer. What The Plaza represents to Americans, The Savoy is to the British. Its guest rooms feature panoramic views of the River Thames and underwent a 220 million pound renovation that was completed in 2010. The �Stay at the Most Iconic London Hotel � The Savoy� package highlights the property�s extensive list of charms � the close location to all London has to offer, the afternoon tea overlooking the Thames, the white-glove services and top-notch butler and concierge staffs. It also includes a $500 gift card to visit the hotel�s restaurant, Gordon Ramsey�s Savoy Grill, which features all of the genius of the titular chef�s creations with none of the berating that comes from his television appearances. Of course, there are few more luxurious places on the planet than the French Riviera. The southern French coast has been a resort escape for Europeans since the 1700s, and now attracts celebrities from around the world (musicians like Elton John and Bono have flocked there, along with movie stars like Brad Pitt and Angelina Jolie). 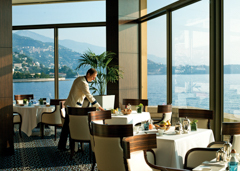 But travelers don�t have to buy a second (or third�or fourth) home along the coast to enjoy the region�s spoils; our �Bask in the Glory of the French Riviera� package includes a suite at the Fairmont Monte Carlo and a $1,000 gift card for sightseeing tours but make sure to get in some relaxation at the Fairmont�s Willow Stream Spa and grab a meal at Nobu Fairmont Monte Carlo, the Riviera outpost of famed chef Nobu Matsuhisa�s global cuisine empire. This is the time of year when even those only minimally interested in movies have one eye on the silver screen. The major award shows seem to come every weekend, and the multiplexes feature many of the previous year�s best releases. Of course, when minds turn to cinema, they often also turn to Los Angeles or New York, the great centers of American film. 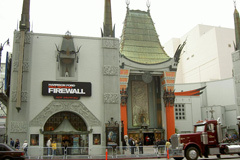 But making movies is no longer just the province of the two largest cities in the country � and that means that your donors can make a cinema-themed adventure out of a trip to several different locations. The Mitch-Stuart, Inc. catalog of non-profit auction travel packages includes trips all around the world, for all sorts of occasions. Some of our favorite destinations can make a film lover�s dream come true, all while experiencing a luxurious vacation and benefiting your charity. A major reason for a film to shoot outside of Los Angeles or New York is when its setting is so iconic that it can�t be faked. 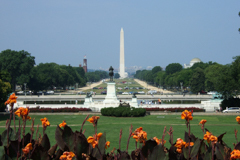 Since even a major movie studio likely doesn�t have the space to reproduce the National Mall, Washington D.C. sees more than its fair share of productions. While the actual halls of power � the Oval Office, the Supreme Court chamber, the House of Representatives and the Senate � are reproduced on sound stages far away, other city-specific locations like the Kennedy Center (seen in �State of Play� and �All the President�s Men�), the Lincoln Memorial (�Wedding Crashers,� �Election� and �Mr. 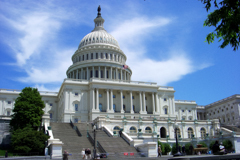 Smith Goes to Washington,� among others) and the National Mall (�Three Days of the Condor,� �Dave� and �National Treasure�) have all made for important backdrops. The city has loaned more than just federal monuments to the silver screen, too: Local culinary favorite Ben�s Chili Bowl shows up in �The Pelican Brief� and �State of Play,� along with many television shows. Chicago may be best known for its lively theater scene (especially improvisational comedy factories like Second City and iO), but it�s also been the setting for some of cinema�s most beloved stories. In particular, director/writer John Hughes set most of his films in and around the Windy City, and many of the locations seen on the screen can be seen in person, as well. Ferris Bueller and his co-conspirators take in the Art Institute of Chicago and Wrigley Field during his �day off,� Northbrook Mall showed up in �Weird Science,� though many of the stores have changed, and churches like Glencoe Union and Trinity United Methodist hosted scenes from �Sixteen Candles� and �Home Alone,� respectively. Private tours from companies like Viator take tourists around the city on a regular basis, either for general film tours or for movie-specific experiences (�The Blues Brothers� is a popular one). Not every city with a thriving film industry is a major metropolis, though. For a mix of movie magic and a small-town feel, head to Asheville, North Carolina. Films like �Forrest Gump,� �The Hunger Games� and �Dirty Dancing� made use of the city for locations. 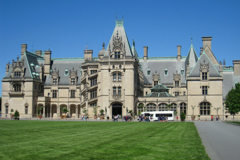 One setting in particular has become a favorite for Hollywood scouts: The Biltmore Estate has shown up in the aforementioned �Gump,� the film version of �Hannibal� and more than a dozen other recognizable titles. The best news: Visitors can see the estate, tour its vineyards, have a meal at its Dining Room (featuring estate-raised beef and lamb) or even get married on the grounds. Part of making sure that we�re offering your organization the best charity auction travel packages is updating our roster of once-in-a-lifetime trips. Each quarter, we put together new ideas, new adventures and new luxury experiences for non-profits to use as fundraising items at gala auction events. What�s new in the Mitch-Stuart catalog? Let look at some of the latest and greatest options. Fittingly, our winter update features several new options for your donors who love the rush of skiing. Send them to Colorado with our �Aspen�s Winter Wonderland� package: A four-night/five-day stay at Little Nell Resort and Spa with gift certificates for the spa and dining. Little Nell sits at the base of Aspen Mountain resort, one of the top ski destinations in the country. 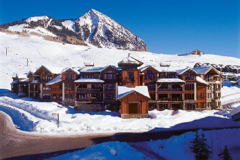 Just down the road in Crested Butte, our �Crested Butte Promises a Superb Alpine Adventure� package puts the donor at the base of the town�s ski resort, and gives them access to a VIP members lounge and even a bonus �adventure,� like snowmobiling, hiking tours or even horseback riding. If your donors like runways more than ski runs, the starring edition to our catalog comes from the Big Apple. �Get Caught Up in Couture� sends your donor to New York City for a three-day, two-night jaunt during one of the city�s two 2015 New York Fashion Weeks. Along with the de facto exhibitions happening on the sidewalks of Manhattan each day, donors/winning bidders will also get two premier tickets to a Lincoln Center fashion show, where exhibitors like Prada and Marc Jacobs show off their collections for the next season. Your donors can be on the cutting edge of the fashion industry, all while supporting your cause. Of course, some of our favorite trips every year involve wine, and we�ve added some great vino-related adventures, both domestic and abroad. 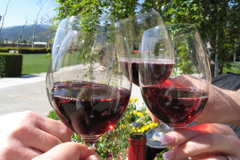 Our �Raise a Toast to the Pacific Northwest Coast� package focuses on the vineyards of the region, with tours of Chateau St. Michelle and a second boutique winery to be named. 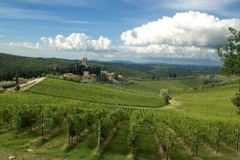 For those looking for an international, big-ticket experience, there�s the �Indulge in the Italian Culture and Countryside� and �Wine, Dine and View Art So Fine� packages, both of which involve Florence, Italy-based adventures and tastings in some of the country�s great wine cellars. Each package offers additional fun as well � a tiramisu tasting, a visit to the Uffizi Gallery of Florence, or the sights of the Snoqualmie Falls and a tour of Boehm�s Swiss Chocolate Factory. Want to hear about the latest and greatest once-in-a-lifetime adventures available from Mitch-Stuart, Inc.? Call or email a representative today!